Well, we got the suggestion a few days ago, we looked at our options and we delivered. Well, I know what you're thinking, ads are usually annoying and full of viruses (eh, Google AdSense?). Well, we hardly make any profit with CW and we don't look for it either, and we're all Internet users like you with AdBlock on, so we looked for the best we can. And this is the best we found. Project Wonderful works unlike other ad providers: advertisers bid on a particular ad space, just like on eBay and such. Click here to find out. That means that if you have some money to spare, you can get an ad for your project just here in the ad box and we get most of the profits! And yeah, that means we get less third-party advertsers from random places (although they could still find us in Project Wonderful's search engine, but I'll have to approve them), so we get more ads related to us. Isn't that great? Click on the "Your ad here" link to get started! Of course, I don't think this could ever cover our server costs, but if it does, good! I do it more for your project's visibility than anything. If you're the first bidder, you don't pay for now, but if there's more than one bidder, that's great! Don't forget that I'll have to approe all ads before they show up on the site. Of course, since we're not paid per click or anything, we still get paid if you enable AdBlock or not, but it's recommended to disable it for the site to see all the nice ads our users would put there and to help Project Wonderful to get more accurate statistics for our site. I want to see all the nice things you put there! If you need help to advertise here, or you have some suggestions, please tell us! 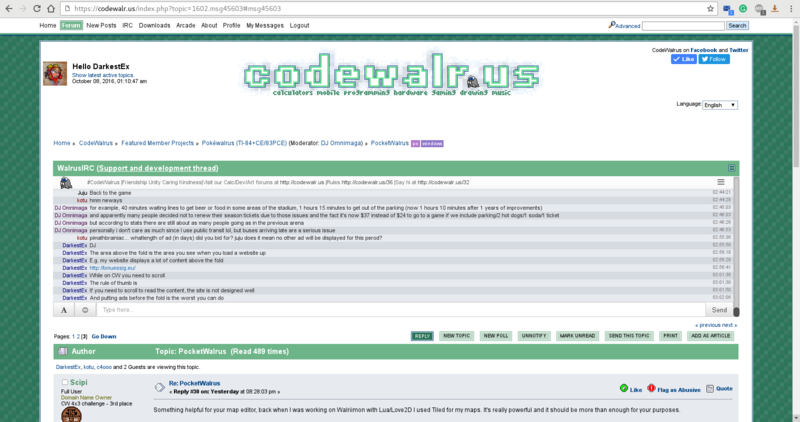 EDIT: Congrats to @kotu who graces us with the first ever ad on CodeWalrus. Right now, he gets free advertisement, but If you want to try to outbid him, feel free to do so! Yeah, I know. I'll look at a solution soon. 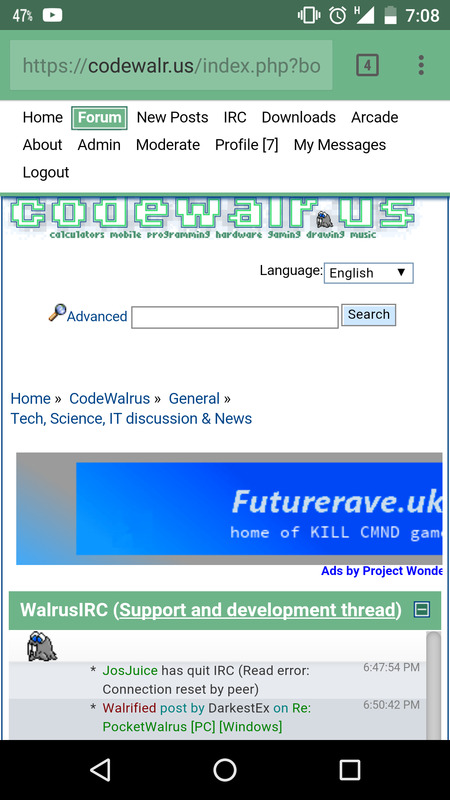 At least there's only scrollbars on the ads and not everything. True, but I don't think it's allowed to hide parts of ads in most ad service TOS and it doesn't really look professional. I sure hope that Project Wonderful at least has features to detect mobile devices and smaller resolutions or scaling down. I hope everyone else's ads get screwed and only mine is displayed. I doubt they're strict on that. Also regarding flash/sound/etc: it's against their ToS to have ads play audio without user interaction. I am against ads above the fold. There is already a lot of scrolling involved to get to the content which is not a good thing. Best would really be sidebar ads. Footer ads wouldn't be seen by anyone. Another idea is having ads between posts but that might be annoying. 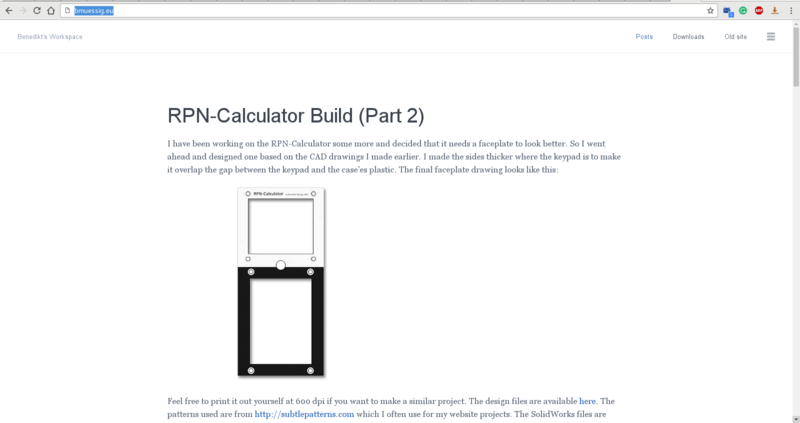 If all financing fails, just downgrade the site a little. E.g. go for shared hosting, drop unnecessary features that require a VPS. That could already save quite a bit. On mobile, this is a difficult thing. Maybe ads between the posts there could be a possible solution.